Ethiopia angry over Eritrea support for Egypt's water claims. ADDIS ABABA: Anger is fomenting in Ethiopia following last month’s statements from the Eritrean government over who has a right to Nile River water, which has become a contentious issue in recent years between Ethiopia and Egypt, who claims the lion’s share of water from the world’s largest waterway. The Eritrean government said in April that it supported Egypt’s position over a controversial colonial-era treaty that grants Egypt a right a majority of the Nile’s water resources. The Egyptian president, Mohamed Morsi, has highly welcomed Eritrea’s position towards Egypt’s “historic rights” over the sharing of the water of the Nile River. Here in Ethiopia, government officials told Bikyanews.com that the issue has led to increased tensions between the two neighbors, which have fought wars over territory. “This is just not right and we demand the Eritrean government issue an apology and deliver what is Ethiopia’s to Ethiopia. The Nile River cannot be an issue that leads to violence,” a water official said, hinting that war over water in the region is on the rise. he dam project has seen widespread concerns from Egypt and Sudan, who have echoed the Saudi official’s sentiments over the project, which they see as an infringement on their historical rights to Nile water. The dam could threaten the regional stability after the Egyptian government said it remained “concerned” over Ethiopia’s actions along the Nile River. The anger comes as Ethiopia and Eritrea both attempt to mend relations strained over the years. Ethiopian government officials this week reaffirmed their commitment to have peace discussions with longtime foe and neighbor Eritrea with the aim of ending decades of tension along the border that has seen war and strife. Addis Ababa – An Ethiopian court on Thursday dismissed the appeal of blogger Eskinder Nega and opposition leader Andualem Arage who were jailed last year for terror-related offences. "The sentencing is still correct so there is no reduction," said Supreme Court judge Dagne Melaku, confirming Eskinder's jail term of 18 years and Andualem's life sentence. One of the charges - serving as a leader of a terrorist organisation - was dropped, but had no effect on sentencing. "The truth will set us free," he said. "We want the Ethiopian public to know that the truth will reveal itself, it's only a matter of time." "The walls of justice will be demolished," Andualem told AFP. Rights groups have called Ethiopia's anti-terrorism legislation vague and accuse the government of using the law to stifle peaceful dissent. "I am very sad, I am very angry, I cannot talk rationally," Eskinder's wife Serkalem Fasil told AFP after the decision. Defence lawyer Abebe Guta said that justice had not been served, and that if his clients agreed, they would appeal to the court of cassation, Ethiopia's highest court. The US was "deeply disappointed" that Ethiopia's federal supreme court upheld the men's "conviction and harsh sentencing," acting deputy State Department spokesperson Patrick Ventrell said. "Today's decision further reinforces our serious concern about Ethiopia's politicised prosecution of those critical of the government and ruling party, including under the anti-terrorism proclamation." He did not say if the court's decision would impact a planned trip to Ethiopia by US Secretary of State John Kerry at the end of May. Last year Eskinder was awarded the prestigious PEN America's "Freedom to Write" annual prize. Rights groups including Amnesty International and Human Rights Watch condemned the initial conviction of Eskinder in July 2012. May 3, 2013 (ADDIS ABABA) - As the globe marks the World Press Freedom Day on Friday the international press rights group, Committee to Protect Journalists (CPJ), called on the African Union (AU) to promote press freedom and to engage in protecting African journalists. In an open letter it sent to Chairperson of the African Union, Nkosazana Zuma, CPJ urged the AU chief to play a leading role in the efforts of releasing all journalists imprisoned in Africa. "We urge you to use your office to persuade member states to comply with the letter and spirit of conventions they have signed that uphold press freedom," said CPJ Executive Director, Joel Simon. The press advocacy group further appealed for justice to all African journalists killed in the course of duty. According to CPJ research no justice was served to at least 80 journalists murdered in the continent since 1992. At least 41 African journalists are said to spend World Press Freedom Day imprisoned in direct reprisal for their journalistic duty. Nigeria where five journalists have been killed with impunity since 2009 and the East African nation of Somalia were labeled among worst nations globally in combating deadly, anti-press violence. CPJ was alarmed that Ethiopia and the Gambia, which host offices of the AU, are among the nations holding journalists in jail. 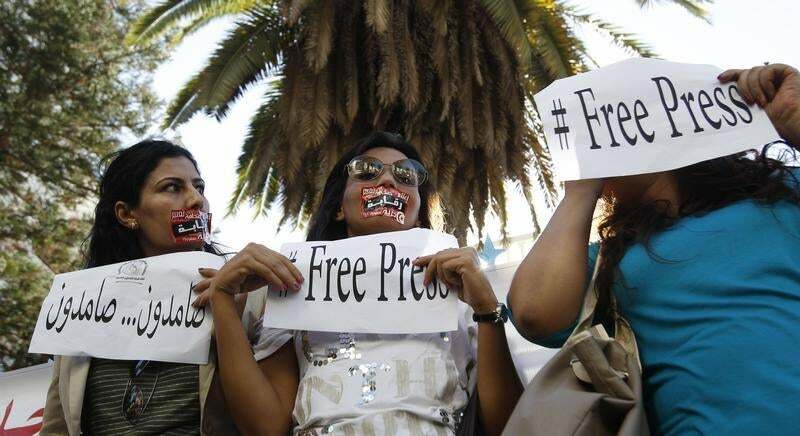 "It is particularly disturbing that Ethiopia and the Gambia, which host offices of the African Union, are among the nations holding journalists in jail” Simon said. “These imprisonments have silenced important voices, often in contravention of regional and international rulings". 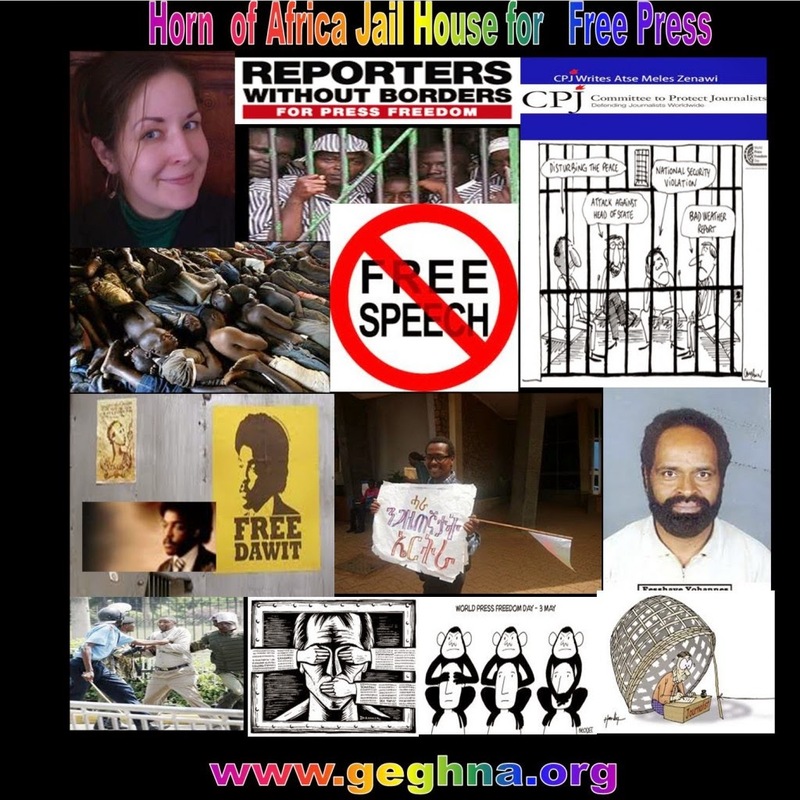 With seven journalists behind bars, Ethiopia is one of Africa’s foremost jailer of journalists behind neighboring Eritrea which imprisons at least 30 journalists. Meanwhile an Ethiopian court on Thursday rejected an appeal over the case of the blogger Eskinder Nega who is held on terrorism related charges. The court upheld an 18-year prison sentence. In reaction to the court ruling CPJ Africa Advocacy Coordinator Mohamed Keita said: "This ruling trivializes the serious crime of terrorism, upholds a politically motivated travesty of justice, and lessens Ethiopia’s international standing". "As a member of the U.N. Human Rights Council, Ethiopia should comply with its obligations under international law and its own constitution and release Eskinder unconditionally. The persecution of Eskinder and other journalists is the hallmark of a regime fearful of the opinions of its citizens." The New York-based press freedom group mentioned Ethiopian journalists, Reeyot Alemu, the 2013 UNESCO World Press Freedom Prize winner, who is serving a five-year term and Eskinder Nega, 2012 laureate of PEN American Centre, on “fabricated terrorism charges” among several journalists who should be released immediately. The African Commission on Human and Peoples’ Rights and the UN High Commissioner for Human Rights, among other international institutions, have in the past censured Ethiopia for the imprisonment of Reeyot and other journalists facing lengthy prison terms under the country’s overly broad anti-terrorism law.